Team Lexus seems all prepared to hit the SUV auto market with its new redesigned Lexus RX 450h 2016. The model has been winning hearts since early 1990 and has commendably preserved its space, facing a tough competition with other car manufacturer like, Mercedes Benz M-Class, Volkswagen Touareg and Ford Edge. Prior to this 4th generation new RX450h, the other series very proudly hold the names, RX F Sport, RX 450 and RX 350. 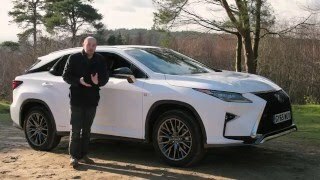 As announced by the team the new model, Lexus RX 450h 2016 is expected to come with a series of modifications in terms of design, performance and other features, which in all completes the car in such category. 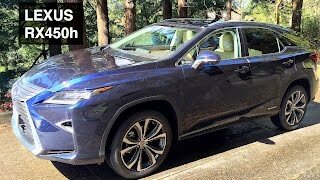 There isn’t much shared by the officials in terms of the complete specifications of Lexus RX 450h 2016 but yes we do have quite a good number of points to judge, how and what exactly the new Lexus RX 450h will hold for its buyers. The Lexus RX 450h is expected to come with the highly powerful V8 engine, which in just recent times has been noticed in the Range Rover Autobiography 2016 release. The same engine in this model will produce the pulverizing 450 BHP of Horsepower, mated to 8-speed transmission and indeed making the model faster than its predecessors. 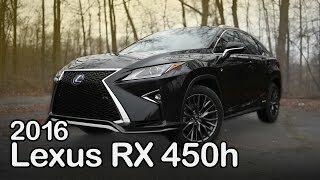 Apart form this in terms of specifications and the conclusion therein; we can say that, the RX 450h 2016 will definitely roll back the streets with popping out eyes. Though the 5 Seats arranged RX 450h 2016, is a compact SUV but with large space for the comfort of passenger. There is additional space in the legroom and headroom, keeping in mind long and relaxing journeys. Model comes with the upgraded music system and large display touch screen fixed on the dashboard. The Dual Zone automatic control and Bluetooth connectivity with Vehicle navigation will make the traveling experience more wonderful. The dashboard this time has cleaner looks while the steering holds both, decent and sporty look with it. In all the Interior of Lexus RX 450h 2016 portray the commendable efforts of the team. Taking the new boulevard and walking another mile from its predecessors the RX 450h 2016 is a decent moderate size SUV, offering comfortable ride. The exterior of car is sporty and the Flawless design makes it compact, energetic and conservative. The Upgraded front grille and LED spotlights looked like another star for the design. 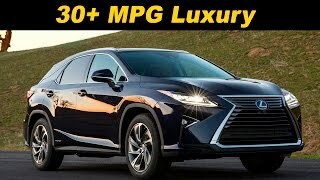 Extensive use of Aluminum in creating parts of Lexus RX 450h 2016 makes this model lighter in comparison to other models of category and hence providing better fuel efficiency and speed. "We are also planning to upgrade the door skins, tailgate and bonnet to cut off the unnecessary weight" shares a higher official from the team Toyota. This was all that the company shared till now, but the same very well created the impression of this model being the buzz in market. 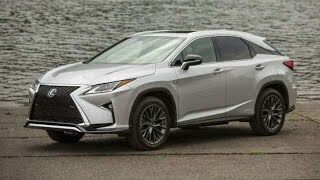 Now all we can do is wait another while to have more of updates from team Toyota for their fourth generation, Lexus RX 450h 2016 model and its competency in market.